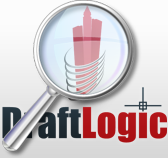 This search functionality allows you to use keywords or phrases to search the DraftLogic Web site. (e.g., "building electrical expert systems database"), the less likely the search engine will return a result. Try shortening your search phrase or using a single word (e.g. "expert systems" or "database�).